New Capital Propaganda has been received and includes the following updates. A new stretch goal has been introduced for when we reach £11,000, which will upgrade the current dice that are included in the game to gem dice for all backers! This information was delivered by Egeria, whose miniature you can also unlock for all backers once we have reached £12,00. President Snow only surrounds himself with the most talented personnel, and those that are closest to him know the price of failure. Egeria is his minister of the interior, and is in command of a large amount of political and bureaucratic power. Although she knows that a firm hand and a steel will are needed to keep Panem in line, Egeria struggles to do what must be done when it causes so much pain and misery. 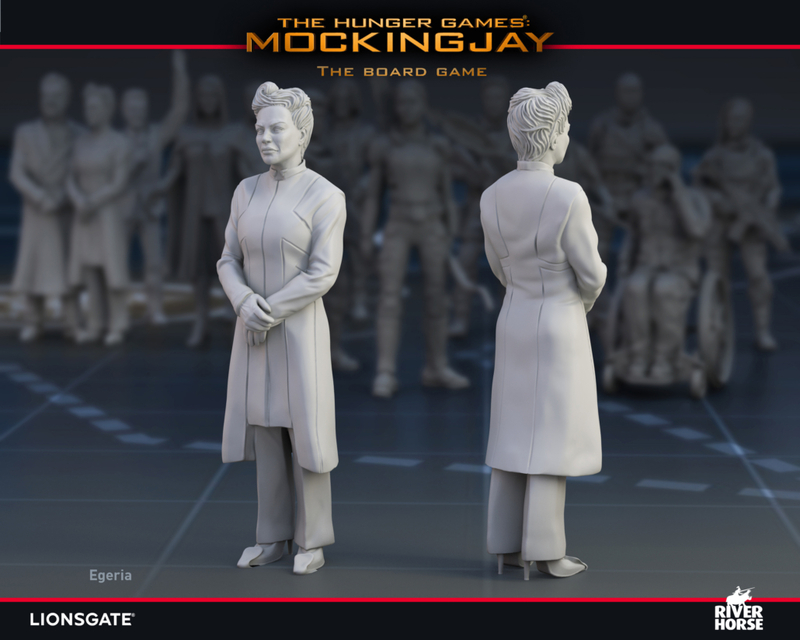 Egeria is one of the available characters in The Hunger Games: Mockingjay – The Board Game, and she is able to utilise the vast resources of the Capitol to keep her informed of all the goings-on of the districts.